The International Swimming Hall of Fame (ISHOF) unveils a new look with a freshly designed, modern logo that reflects the organization’s place on the Olympic stage as a shrine to aquatic sports as well as its merger with Swimming Word Magazine media group. Nearly 150 submissions were considered from talented graphic artists from all over the country. The new logo reflects multiple facets of both organizations. The waves represent the colors of the Olympic rings (red, green, black, blue, and yellow) which unite all countries in sport. 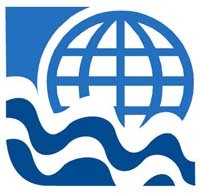 The globe symbolizes the worldwide reach of ISHOF and ties in the classic logo of Swimming World Magazine to reflect the merger of the two organizations. 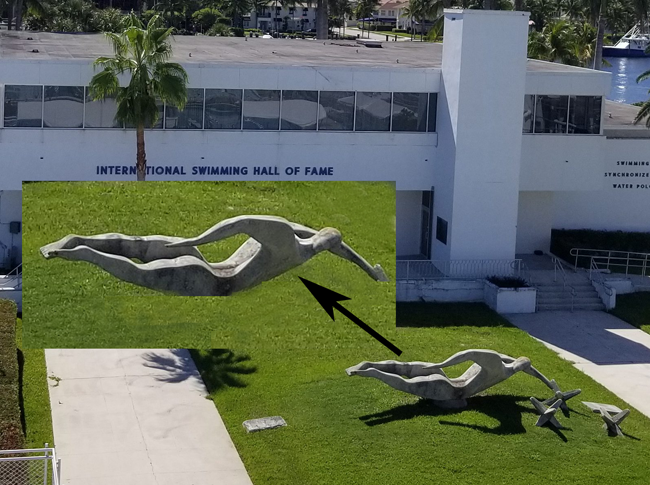 The swimmer represents the well-known swimmer statue that stands in front of the ISHOF Museum in Ft. Lauderdale, FL. The recently upgraded Swimming World website reflects the co-branding of ISHOF with Swimming World by using the combination of the new ISHOF logo along with the Swimming World brand. The “Powered by the International Swimming Hall of Fame” text underscores the relationship. Look for the new ISHOF logo to appear on new apparel and gift items soon! Or shop the ISHOF store for limited edition items with our current logo. To receive ISHOF updates, sign up for the ISHOF mailing list.